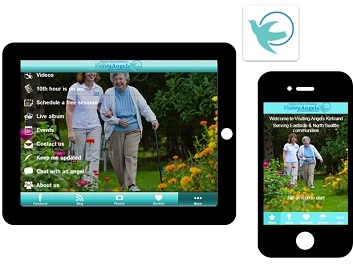 Visiting Angels (web site http://www.visitingangels.com ) is a network of home care agencies and is the nation’s leading provider of non-medical senior home care services, providing in-home care, elder care, respite care, senior personal care, elderly care and companion care services. 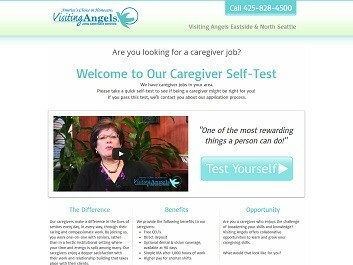 Visiting Angels at Eastside & North Seattle is growing, and needed to recruit more qualified local-area caregivers. Based on this business need, a FanZappy principal worked with the business owner to collect the business requirements and define the campaign objectives. A FanZappy on-demand project team was formed consisting of the principal, web designer, developer, test and operations, and analyst. 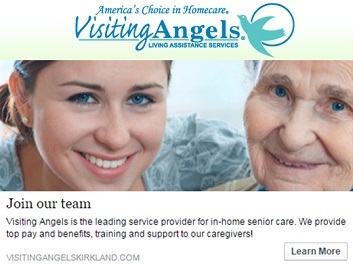 The team worked together, to design and implement a multi-channel local caregiver recruiting campaign for Visiting Angels. This recruiting campaign utilized multiple marketing channels, including web, social media, and advertising, to outreach to and engage with potential candidates from the local service area. As a regulated industry, candidates who wish to become caregivers in the state of Washington must pass certain state certifications. 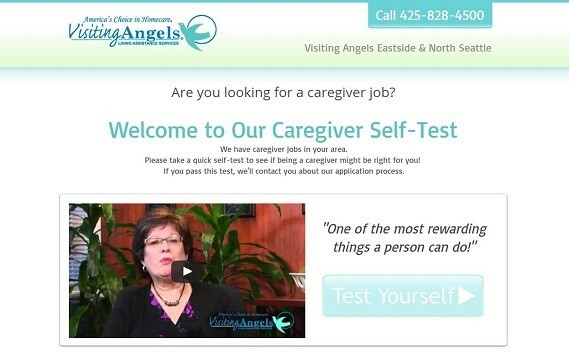 Accordingly, the campaign was designed to find and drive interested prospects to a landing page to pass a caregiver qualification self test. A measurable lead-gen success was defined as the capture of contact information from a qualified candidate who passed the self test. A second goal of the campaign was also established, which is to pass the contact information from local prospects who’d be willing to be trained and obtain required state certification to a partner company that specializes in caregiver training. 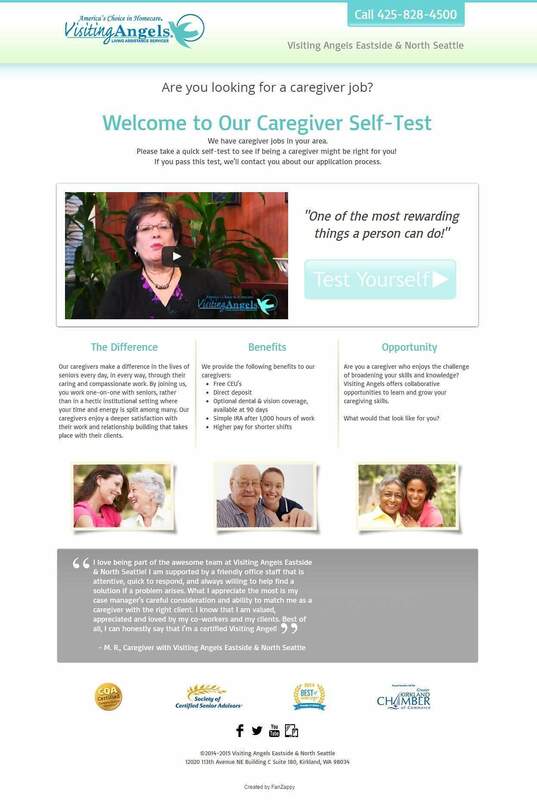 Large-font and bold engaging headline text, the owner’s personal video calling qualified candidates to apply for the job, and a large call-to-action (CTA) button are all clearly presented above the fold. 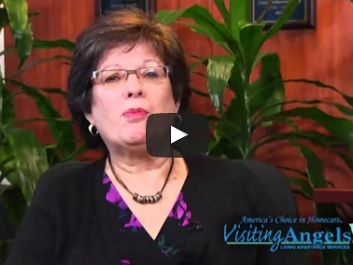 A visitor can click on the business logo to visit the company web site for more information about our client. Three feature blocks about why candidates should apply for the job are presented right below the fold: The Difference, Benefits, and Opportunity, each with an engaging image that further establishes the client’s brand. We also added a caregiver’s testimonial to help increase client infinity with job candidates, together with a repeat of the CTA button. Next on the landing page, we included client’s achievements and industry credentials. At the bottom of the landing page, a candidate can follow the client on social media sites and install client’s own branded mobile app. 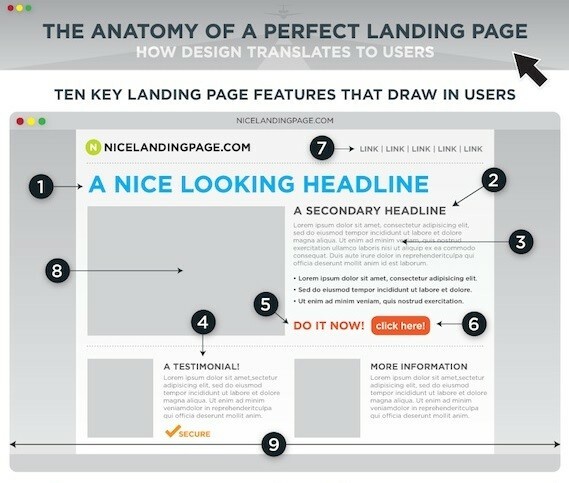 The landing page was also designed and tested to be mobile responsive and search engine friendly before launch. Instead of sending everyone to the full online caregiver job application, which is complex, time consuming to complete, and requires information about the state certification, FanZappy created and hosted an anonymous caregiver self-test that can be easily completed in just 30 seconds. By having a quick self-test to screen candidates online, we decreased the user abandonment rate through the lead-gen process. We also saved the client time by eliminating the need to contact and follow up with non-qualified candidates. Upon receiving the notification, the client team will follow up with a call to help the candidate complete the full application. Upon receiving the notification, the training team will follow up with the candidate about certification training opportunities. Send a thank-you email to the candidate with client’s contact information and encourage the candidate to come test again when his situation changes. Send a test failure notification to client. There will be no follow-up by the client after a self-test failure. For more information about this recruiting campaign, please follow the link here to view our case study report. A full report of this comprehensive marketing campaign can be found here. Browse other projects FanZappy implemented for Visiting Angels.